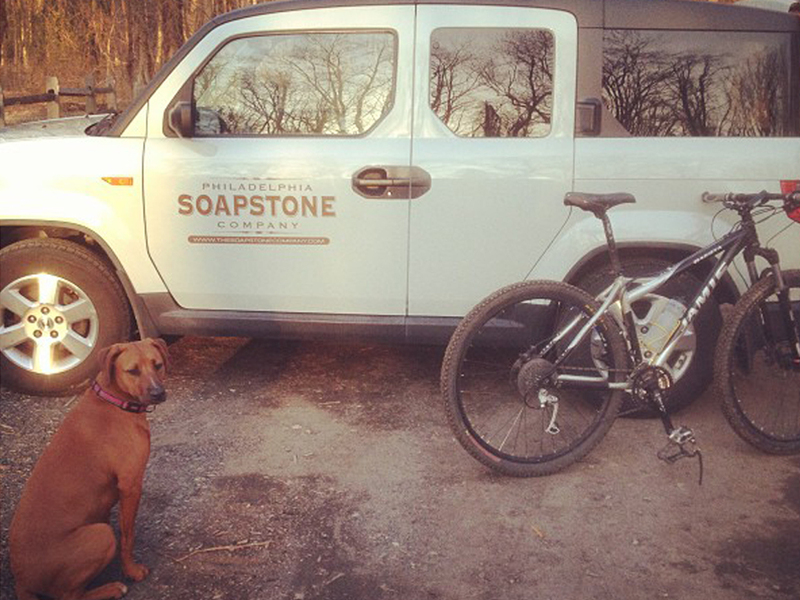 Philadelphia Soapstone & Marble Company is nestled in the quaint, rolling hills of South Jersey. Conveniently accessible from all the Philadelphia bridges, and a mere stone’s throw from every major tri-state thoroughfare, we overlook New Jersey’s legendary Black Woods. Driving south on Route 42, on your way to Atlantic City, just look out of your passenger-side window. There we are. We have surfaced all over in New Jersey, Pennsylvania, Delaware and Maryland. You need soapstone and marble? We got you covered. Welcome to Philadelphia Soapstone & Marble Company. Did you know that there is soapstone that is not soft? We specialize in that material. If you want soapstone that is soft and you want it to scratch, ding and dent like typical soapstone that’s out there we can get that for you too. Philadelphia Soapstone has an exclusive relationship with Green Mountain Soapstone, based out of Vermont. We are the only fabricators of PA Original Soapstone in the Philadelphia Metropolitan area, which is by far superior to other soapstones in the market today. 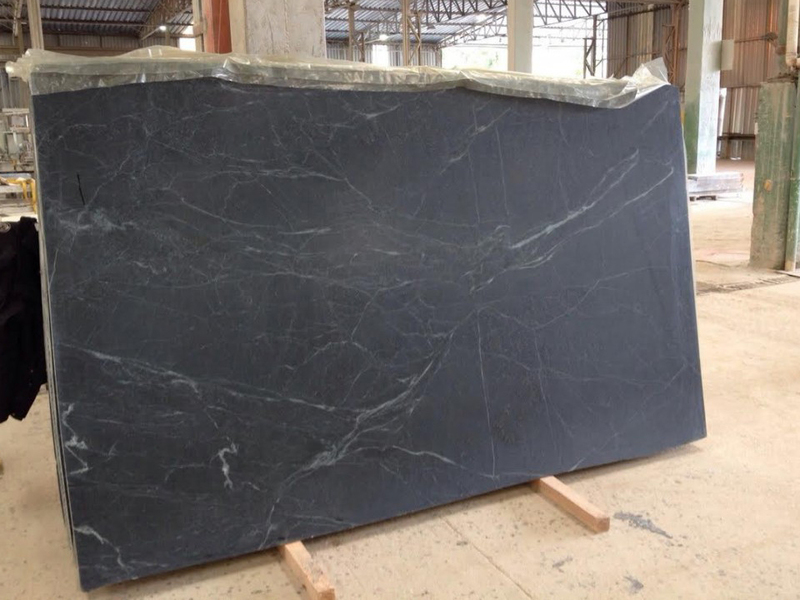 It is a harder, much more durable soapstone than typical soapstones that you are used to seeing in the market. 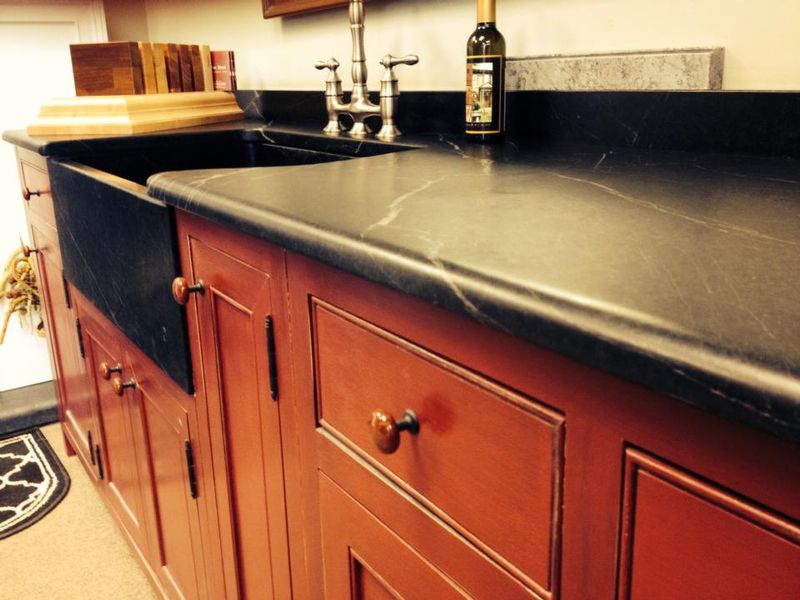 PA Original Soapstone has all the qualities of what your typical soapstone has, but it’s also hard, like granite. Another thing you may not know about PA Original Soapstone is that it stays darker, longer, than the softer materials after it has been enhanced. A wax/walnut oil product is used instead of mineral oil on PA Original Soapstone. After the initial application after the stone is installed, it may only be reapplied once a year compared to four to six times a month with mineral oil on other stones. Philadelphia Soapstone Company specializes in these harder materials, but that’s not all we do. We feel that many marbles in the market are a great compliment to the soapstone that we use. so we’ve educated ourselves and become experts in marble as well. If you want a quote from Philadelphia Soapstone for your project for countertops and sinks, please either provide the details or diagram that’s needed and we will send out a proposal to you right away. 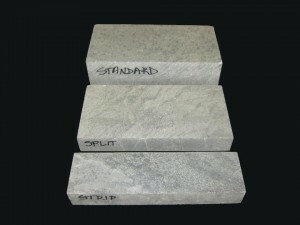 Philadelphia Soapstone & Marble is a full service fabrication facility. We specialize in the templating, fabrication and installation of Soapstone and marble countertops as well as sinks. Our educated team takes great pride in our depth of knowledge and expertise about these specialty stones. We know they need to be installed properly and with utmost precision. Handled with great care, our surfaces always perform at their very best. We provide a free quote process so you can budget for your project with real numbers. We can also recommend styles and types of soapstone and marble for your particular project. The best way to appreciate quality stone is to see it for yourself in person. We wash down the surfaces so you can get a sense of each stone’s unique characteristics and inherent beauty. Appointments are highly recommended. If in doubt, please call first.